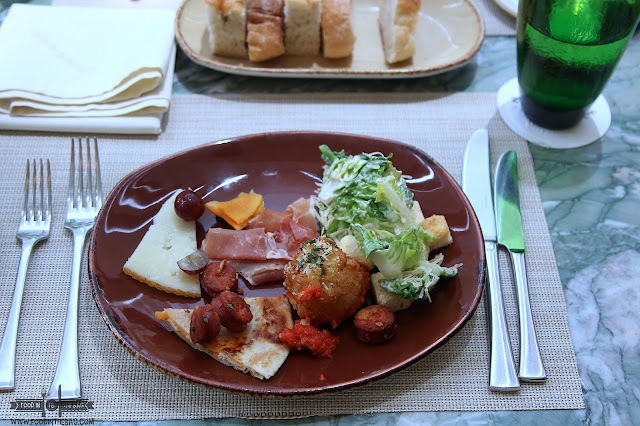 When one talks about Spanish cuisine, it's usually either tapas, cochinillo, and paella. I have always thought that it's one and the same with Filipino cooking so I could confuse the two at times. Granted that the Philippines was taken over by SPAIN for more than 300 years, there would be similarities between the two. 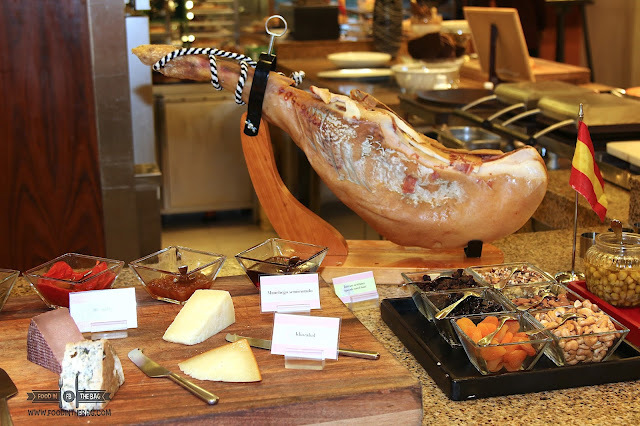 At AG NEW WORLD MANILA BAY HOTEL, MARKET CAFE wants to celebrate the FLAVORS OF SPAIN. 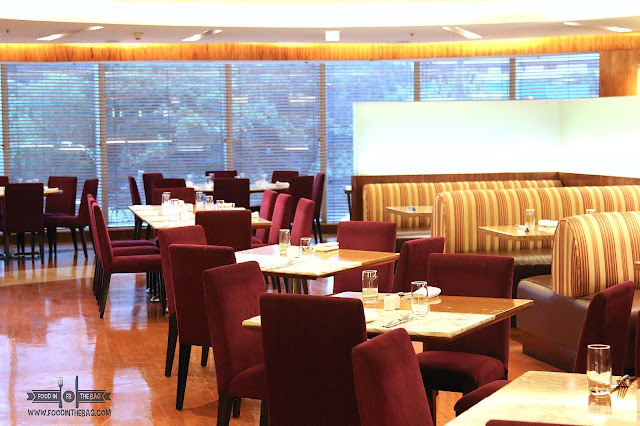 Located on the third floor of the AG NEW WORLD MANILA BAY HOTEL, Market Cafe has been there for years. When the hotel was still named Hyatt, Market Cafe would be one of the go to Hotel Buffets in the metro. As we were led to our seats, one thing pretty much drew me in. The Jamon Serrano. 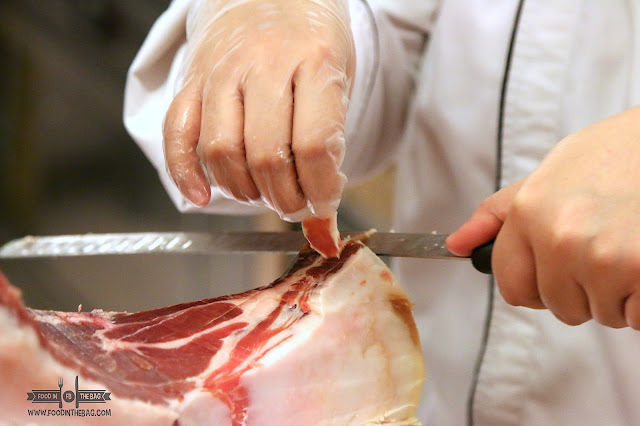 This beautifully aged piece of meat is something delicate, salty, and delicious. 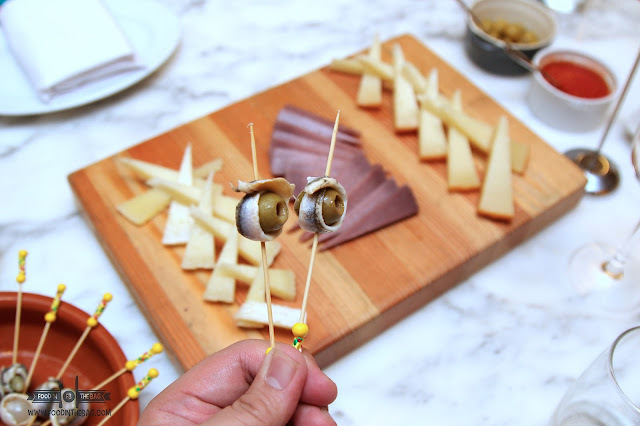 Partnered with different types of cheese, you won't go wrong with each bite. It's like a play on the senses. 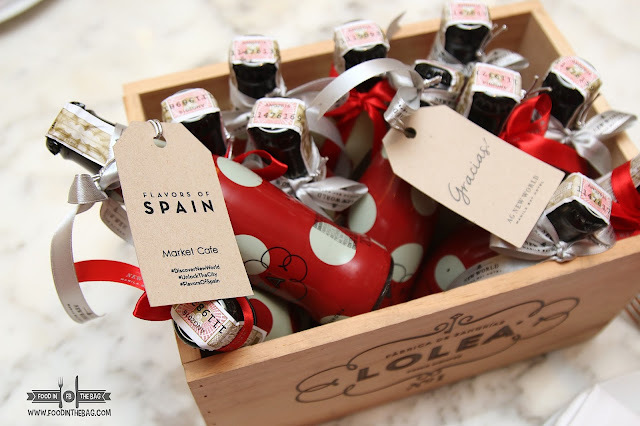 Aside from these, a number of tapas are present and are even for sale that you could also partake off and take home. A familiar dish would be the callos. 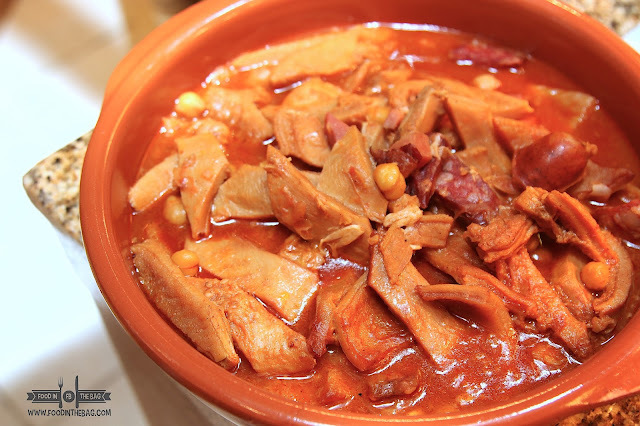 A common stew from Spain, loads of tripe are marinated and blasted with flavors to enjoy. 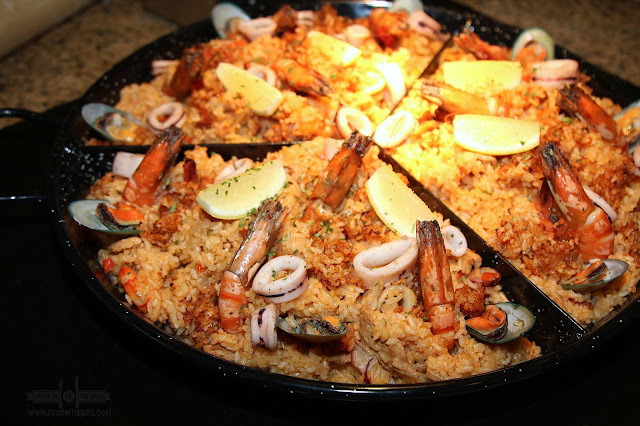 Paella was also there. Basically a rice dish, you get to have fun and partake of the different toppings it may have. 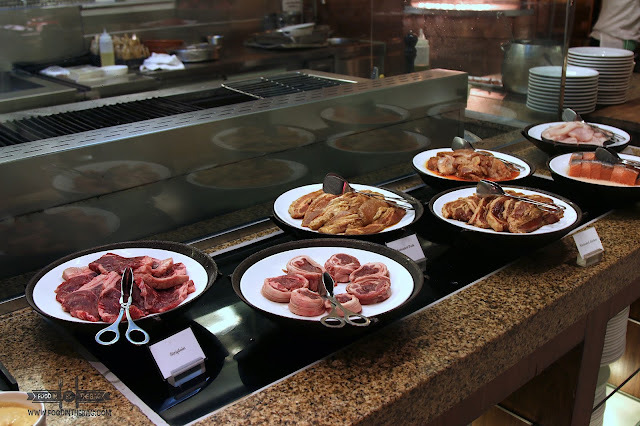 Buffet lovers need not worry because the usual dishes are still present in the spread. 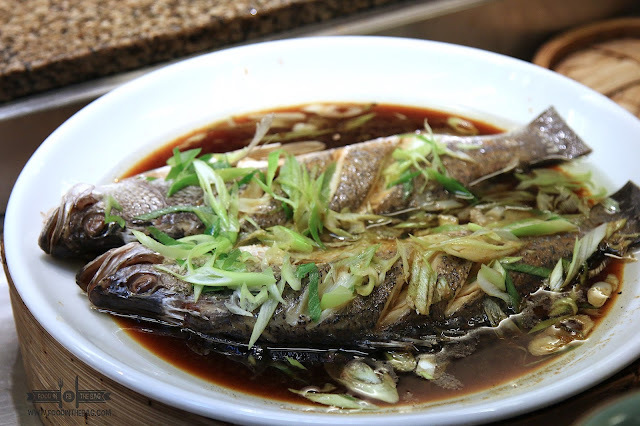 You could have some fish, salmon, steak, lamb, pork chop, and other meats to cook and grill. 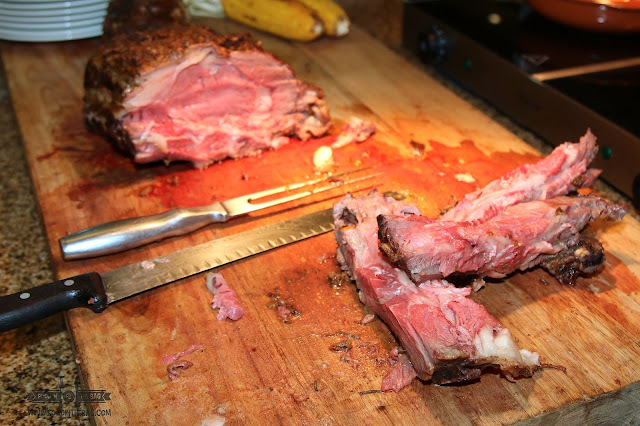 Australian Grass Fed Prime Rib was also there as part of Market Cafe's partnership with the Australian Embassy. 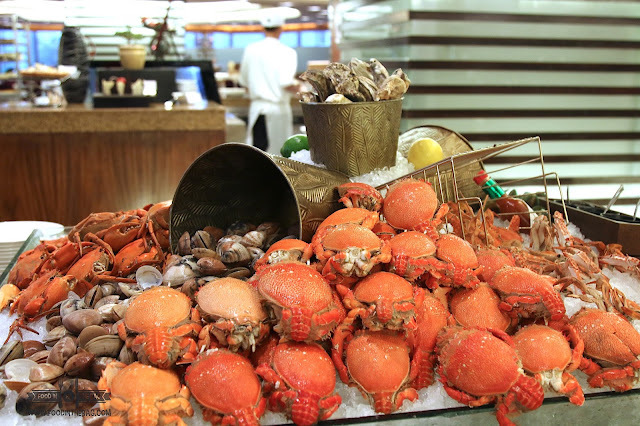 The seafood station is also stocked with crabs, shells, and even oysters. You could have them cooked also based on your preference. 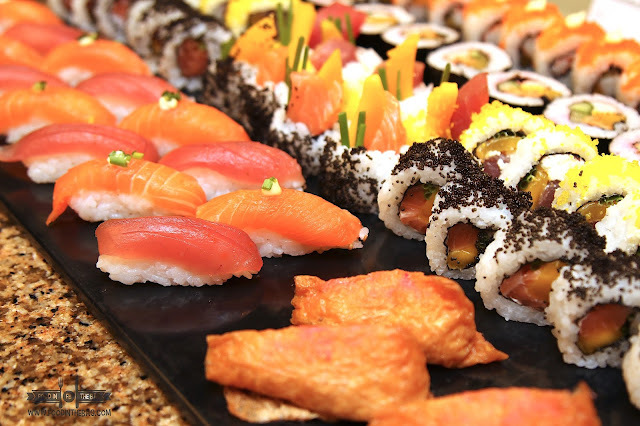 Sushi and sashimi and other Japanese rolls would be part of it all. Aside from these, they even have a tempura station that kids and adults would enjoy. Freshly cooked shrimp tempura is a definite must when visiting Market Cafe. 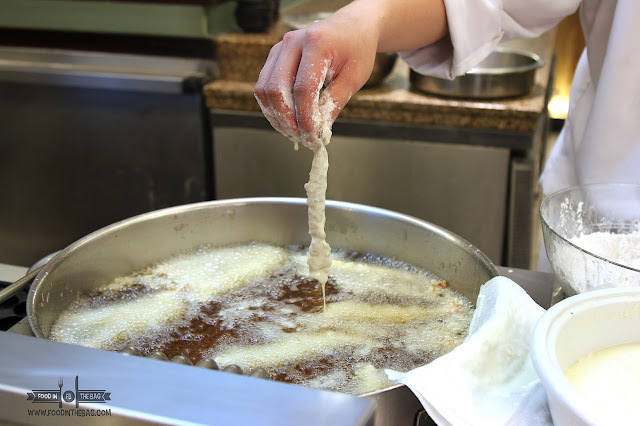 A Chinese station is also present as it offers different Chinese favorites and a make your own noodles. 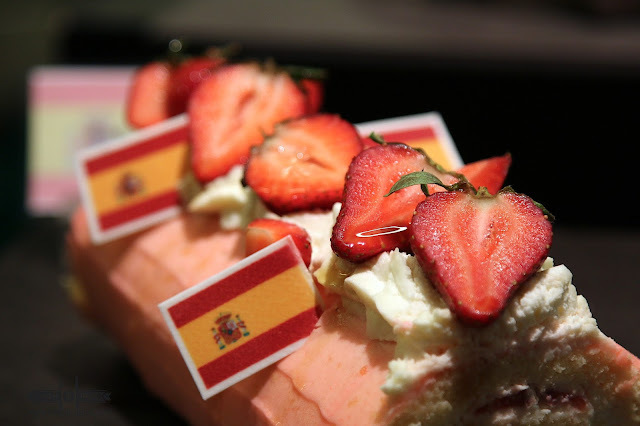 Dessert is not a problem as there are even Spanish themed versions of popular classics. Fruits and other sweet endings are also there. Visiting Market Cafe in AG NEW WORLD MANILA BAY HOTEL brings back memories. 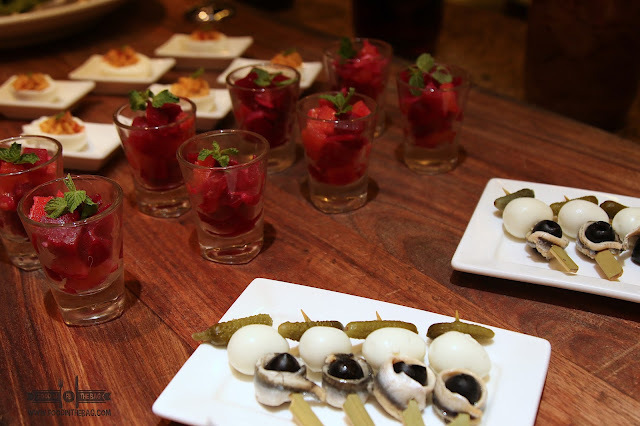 Having the FLAVORS of SPAIN gives patrons more choices with regards to food and even beverages. Available for dinner from Monday to Saturday and lunch for Sundays. Monday to Thursday dinner is at 2,200Php and 2,500Php for Friday to Sunday. Rates are inclusive of free-flow beverages. Flavors of Spain is up to August 2017.